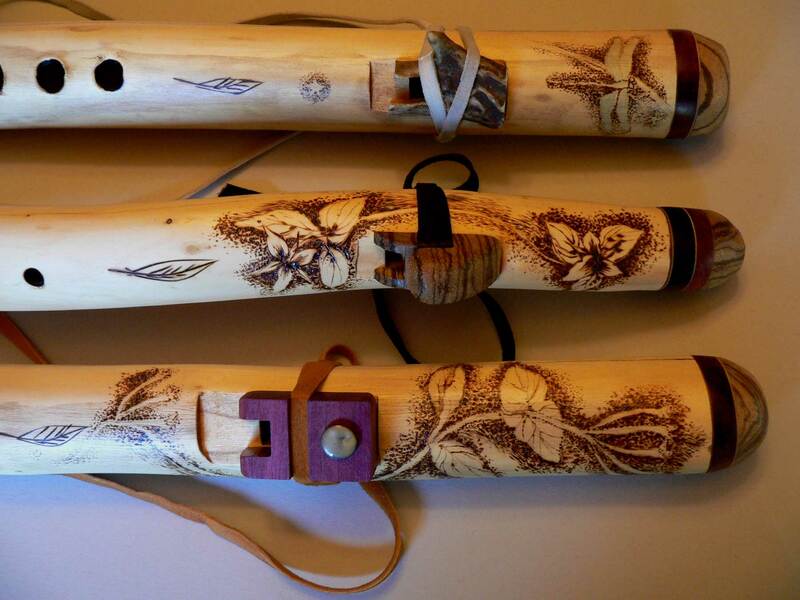 The following flutes are either in my collection or the collections of others. Please call to talk about my available flutes. I would love to talk to you about each one I have completed. 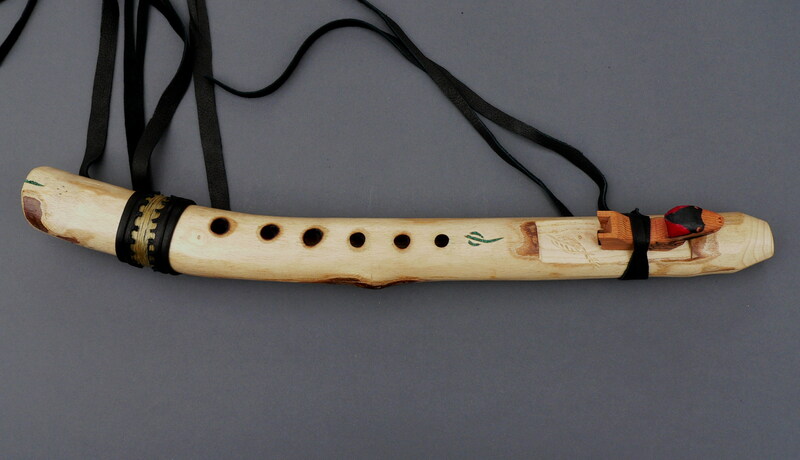 Flute making is a wonderful creative part of my life and each flute is unique and will not be repeated. 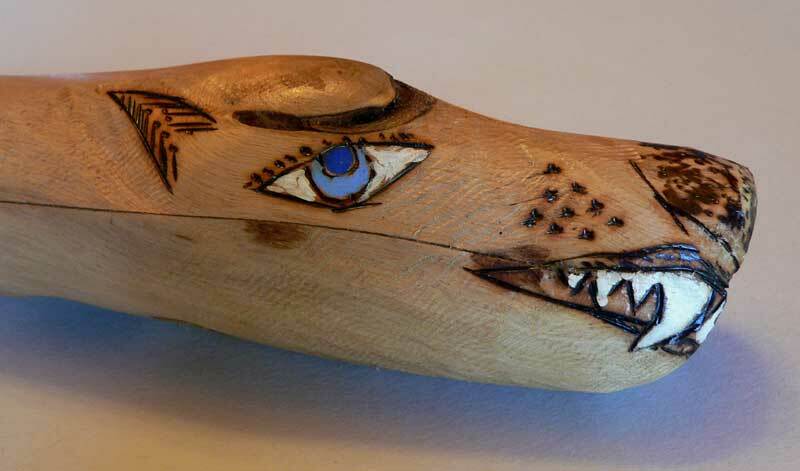 If you don't find a flute of mine that interests you please consider one of the fine flute makers listed in my links directory. 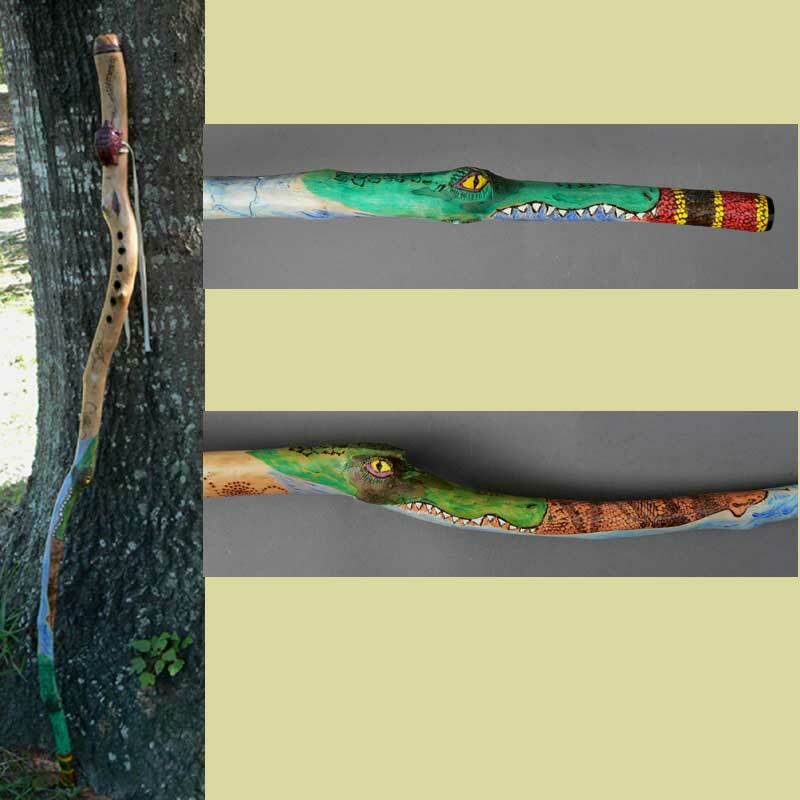 Pricing: All branch flutes are hand worked and start at $200 and are higher in price with additions such as carving, unique Fetishes, tips, etc. 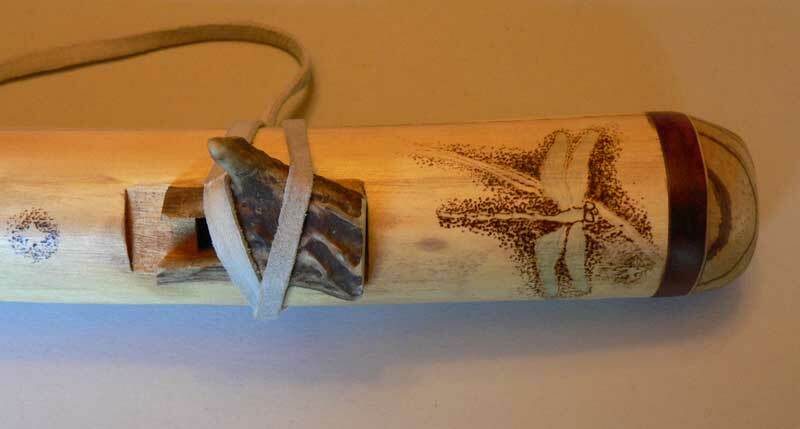 Pecan Branch Flute with Walnut Turtle and poplar/cedar tip. Key of G. Inlayed turquoise. Sold. 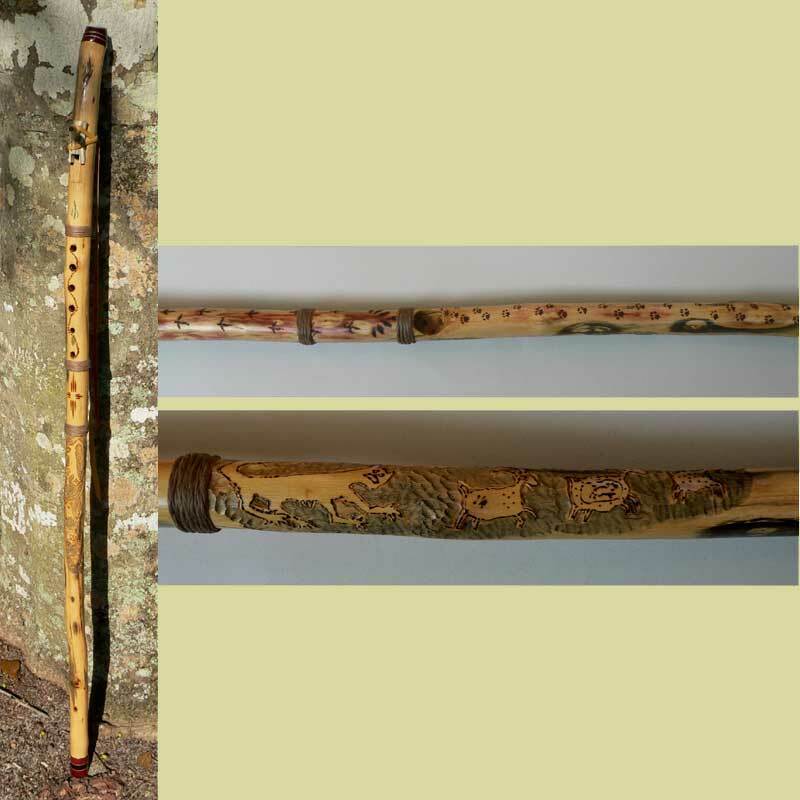 Paulownia Branch Flute with walnut tips and Bird. Inlayed turquoise and painted dragonflys. Key of C#. Sold. 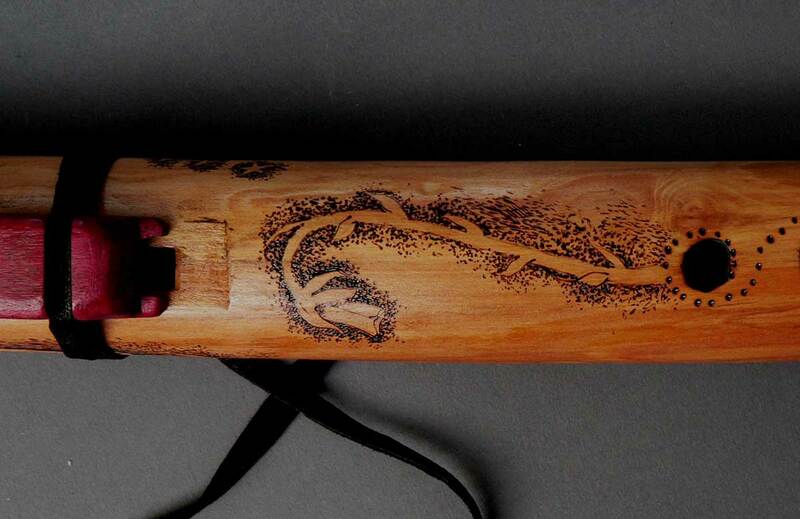 Holly Branch Flute - entered into Musical Echoes Flute Contest. Key of E. Sold. 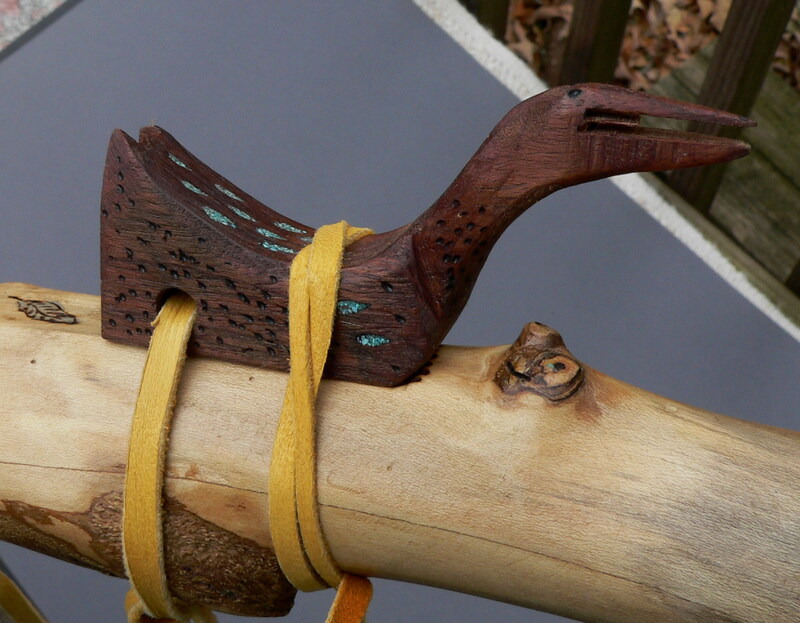 Anhinga bird on Holly Branch Flute with turquoise inlay feathers. Sold. 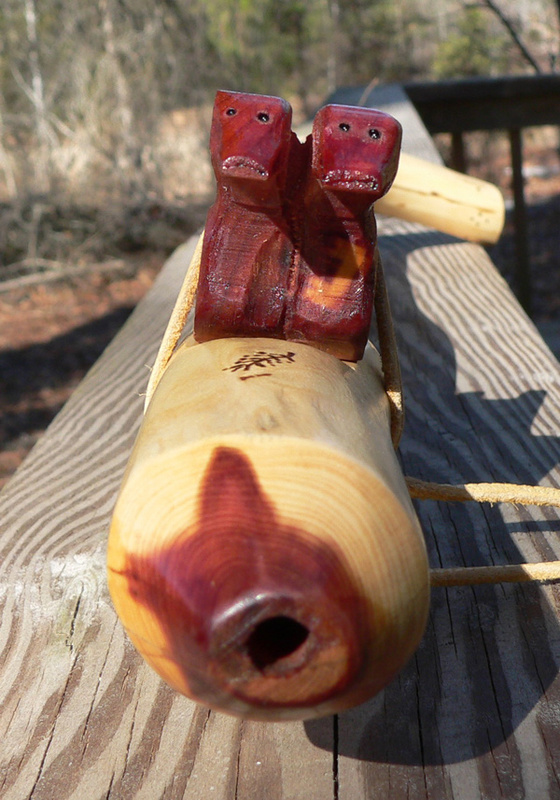 Dogwood walking stick flute. Horse carving and bird. Key of G. Sold to a new proud owner! Cedar Branch flute for a Lefty with Walnut tip. Key of F. Sold.